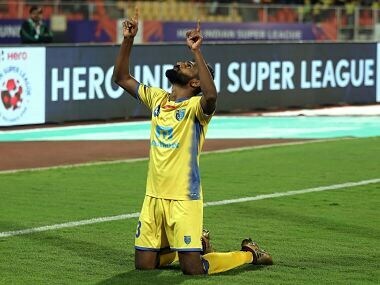 Kochi: Kerala Blasters held a spirited FC Pune City to a 1-1 draw in an exciting Indian Super League (ISL) match on Thursday. 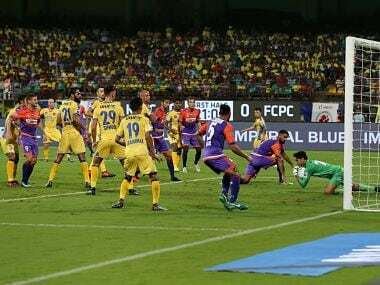 Skipper Marcelinho (33rd minute) handed FC Pune City a first-half lead but 21-year-old Mark Sifneos (73rd) struck in the second half to score the much-needed equaliser for Kerala Blasters. 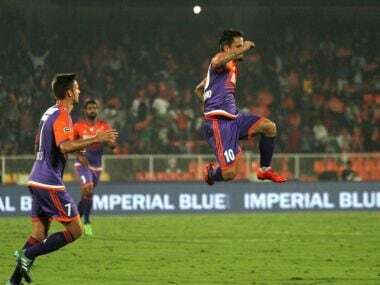 Pune City, who blanked NorthEast United 5-0 in their previous match, had an early chance to go ahead when a Marcelinho free-kick was flicked by Adil Khan across goal and into the path of Rafael Lopez who failed to connect. The visitors earned five corners within the first 20 minutes of the game but success eluded them. 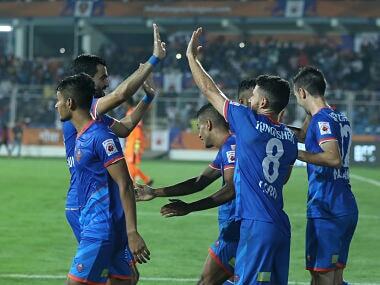 It was only in the 33rd minute that Pune's efforts finally paid off. It was the combination of Marcelinho and Keralite Ashique, who executed a neat one-two at the edge of the box and the Brazilian No 10 sent Ashique's return to the net. 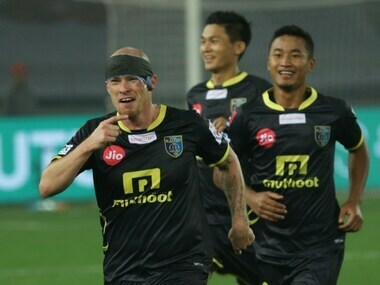 At the stroke of half-time, Iain Hume's header was cleared by Sarthak Golui using his chest, thus ending the first half without a single shot on target for Blasters. With former England goalkeeper David James back as the head coach, Kerala Blasters continued to search for the equaliser and their wait ended when Sifneos notched up his third goal of the season in the 73rd minute. It was substitute Keziron Kizito who split the Pune defence with an inch-perfect through ball for Courage Pekuson. The Ghanian crossed into the box and Sifneos hit the net, much to the joy of the home crowd.